This steam cleaning machine features five rotating cleaning brushes, a heated cleaning system, and quick rinse cycle to tackle the most heavily trafficked carpet stains. There is a 1 gallon hot water tank, a separate tank for detergent, and a dirty water tank. 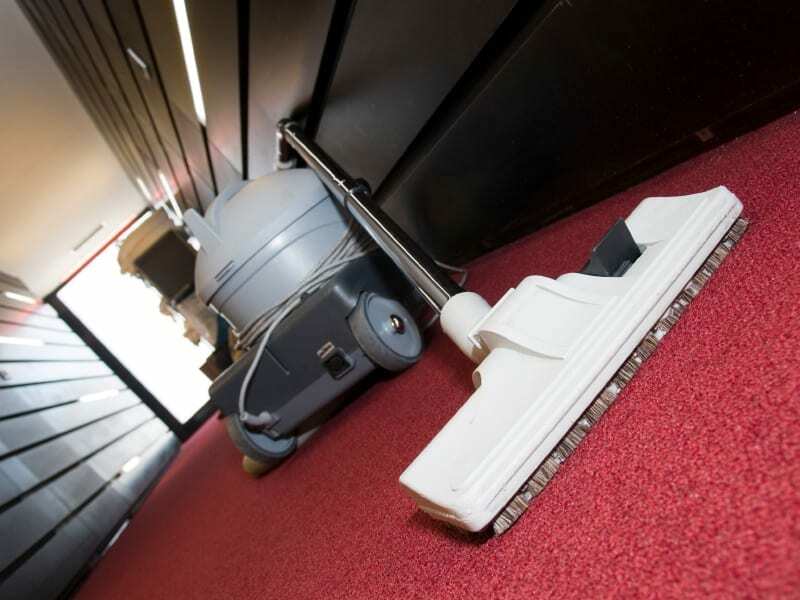 Attachments include a hose with a spinning brush for tackling upholstery and stairs. Users report an ease of use and phenomenal results for especially larger homes. The main complaint is a bit of effort is required to move the machine up and down floors. Bissell’s SpotClean Pro is perfect for smaller areas like area rugs and flexible enough for auto carpet cleaning. This little machine measures just over a foot tall and wide, with that volume mostly reserved for the water reservoir. Hoses and attachments make special jobs easier and users report suction being surprisingly great for its size. Buyers report satisfaction for this machine, just keep in mind most of them are using it for smaller areas and special jobs. This hand held cleaner is a vacuum and carpet cleaner in one designed for spot treatment. Most users are pet owners who report great performance for Fido’s accidents. It’s a great machine to have on hand in a house of children or spill-prone adults. Shark offers this double duty machine that goes from hardwood to carpet, and even upholstery. For carpets, Shark promises to get surface dirt and deep down dirt by loosening it from fibers, allowing easy removal during the next vacuum. All the washing pads are washable, and detergents are non-toxic, promising a healthy cleaning experience every time. Users report an ease of use and find steam cleaning carpets and hardwood floors is simple enough to become a weekly chore, instead of seasonal or yearly. One popular drawback reflects on the cleaners: difficulty finding them in stores and some users found the detergent left a light haze after cleaning. For all around power and cleaning, choose Hoover’s Power Scrub Deluxe Carpet Washer. It’s built in heater helps break down dirt and the counter-rotating brushes ensure all carpet fibers get cleaned without wearing down the fibers thanks to the 360 degree spinning versus ‘into the fiber’ spinning. A trigger on the handle allows the user to control water dispersion and a separate dirty water tank that sends a message to shut down the machine when it’s full. For attachments, you can tackle any job from upholstery to auto interiors. Users report comfortable transition from room to room, however wish for a longer cord- it’s only 20 feet long. All in all, this is a highly rated carpet steam cleaning machine.